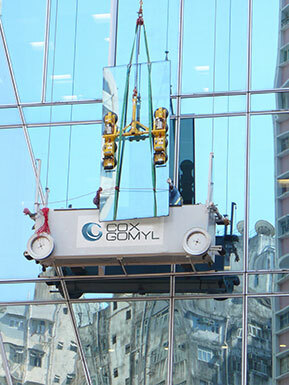 The CoxGomyl 5000 Series machines are designed for use on buildings of moderate complexity. When developing concepts using the 5000 Series range, the designers at CoxGomyl draw from a collection of standard features and options, to achieve a solution perfectly tailored to the architectural and functional requirements of the building. The 5000 Series of products are divided into three main groups; the selection key is based on machine outreach, operational options and movements.